Are you like me? Are you sticking with XP instead of upgrading to Vista? (I even quickly bought a new desktop from Dell this summer so I could still nab one with XP on it). Ain’t broke, not gonna fix it kind of thing, eh? Excellent. My readers are good-looking and intelligent. You know that Windows update thingy that always pops up and annoys the living crow out of you? 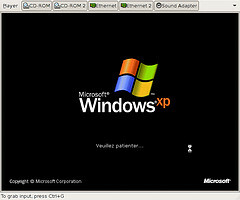 Well, if you’re still using XP, you might not want to ignore it the next time it pops up.